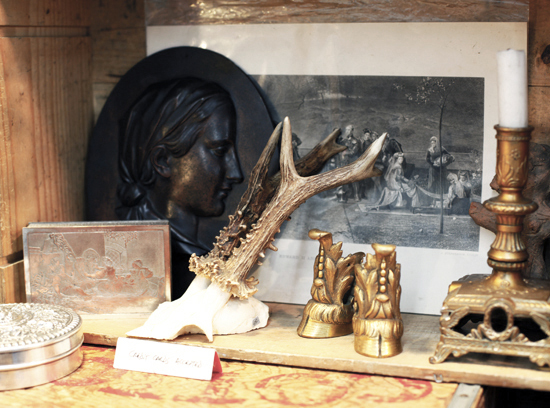 Every weekend at the Antique’s Garage in Chelsea, Andre drifts among his elaborate booth and enchants the passersby with his endless knowledge of old objects and a passion for his hobby that is palpable. Do yourself a favor and spend an afternoon at Andre’s Tavern. You’ll be inspired.